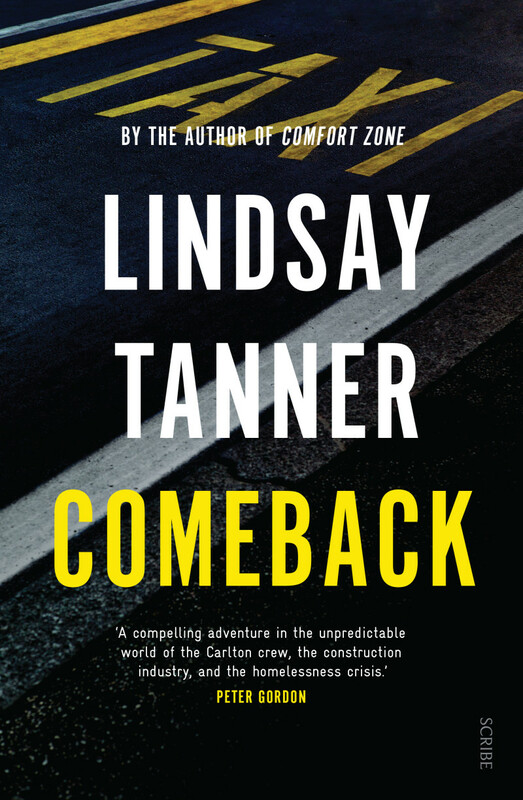 Comeback is former federal politician Lindsay Tanner’s second book about ageing taxi driver Jack Van Duyn (“rhymes with spoon” as he keeps reminding people). In the first book of this series, Comfort Zone, Jack falls in love with a Somali woman and through a few other misadventures gets himself tangled up with drug dealers, ASIO and piracy. When Comeback opens and Jack finds himself witnessing an industrial accident and becoming involved with an activist who lives in some local social housing which is under threat from development and once again finds himself in various crosshairs as his life falls apart. It feels like possibly these plot mechanics are Tanner’s personal comfort zone. After dealing with the refugee crisis, Tanner is keen to explore another area of Australia’s underbelly. Dodgy developers in kahoots with politicians at the expense of local populations, the struggles of the union movement and the vicissitudes of social housing. Perhaps to distance current events from the action described, Tanner locates the plot in 2009. Tanner clearly has a deep understanding of these issues and a fondness for the locations and people of the inner Melbourne areas in which the action is set and possibly the timeframe reflects his deeper personal involvement in those issues and places as a local member at that time. Van Duyn himself is a bit of a loser. Nothing ever seems to go right for him and he often finds that no good turn goes unpunished. From his bad luck in relationships, to his taxi partner abandoning him to drive limousines, to parking tickets outside the hospital to Phil, the alcoholic homeless guy who keeps hassling him to repay an old debt. Meanwhile he is being threatened and strongarmed by both the developers and the unions. It feels like Tanner desperately wants Jack to be a loveable loser but he just comes across as a loser. In the midst of this all there is a bit of mystery and Jack finds himself playing the role of unwilling detective: hunting down old supreme court files or breaking into offices to find incriminating paperwork. There are a couple of twists thrown in but they are telegraphed a long way out. Tanner says in an afterward that while the project he describes was real, the skulduggery behind it was completely fictional. But there have been enough industrial and development scandals in Australia for readers to understand that while this particular project may be fictional it is based on a solid foundation of how these players operate. In that respect, as a fairly chilling look behind the curtain of both big business and the unions, Tanner succeeds.